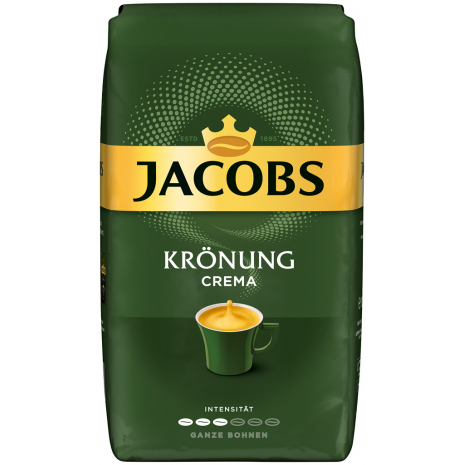 Jacobs Kroenung Crema is a carefully selected blend of lively coffee beans from South America and multifaceted coffee beans from Asia. A careful roasting process provides a steady and inimitable product of the highest quality. 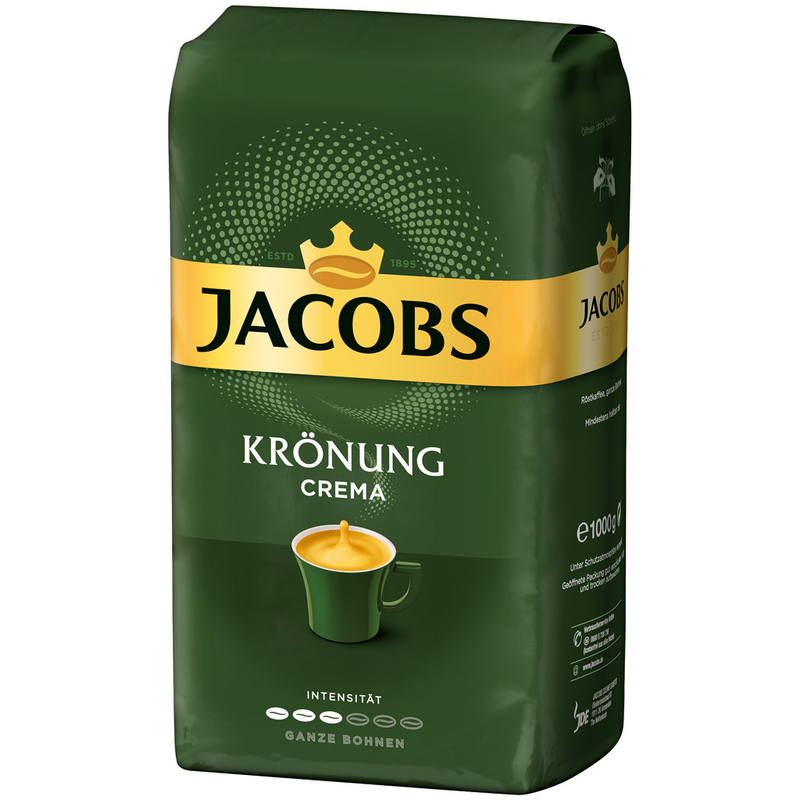 Irresistibly aromatic coffee with a silky and smooth crema until the last drop. 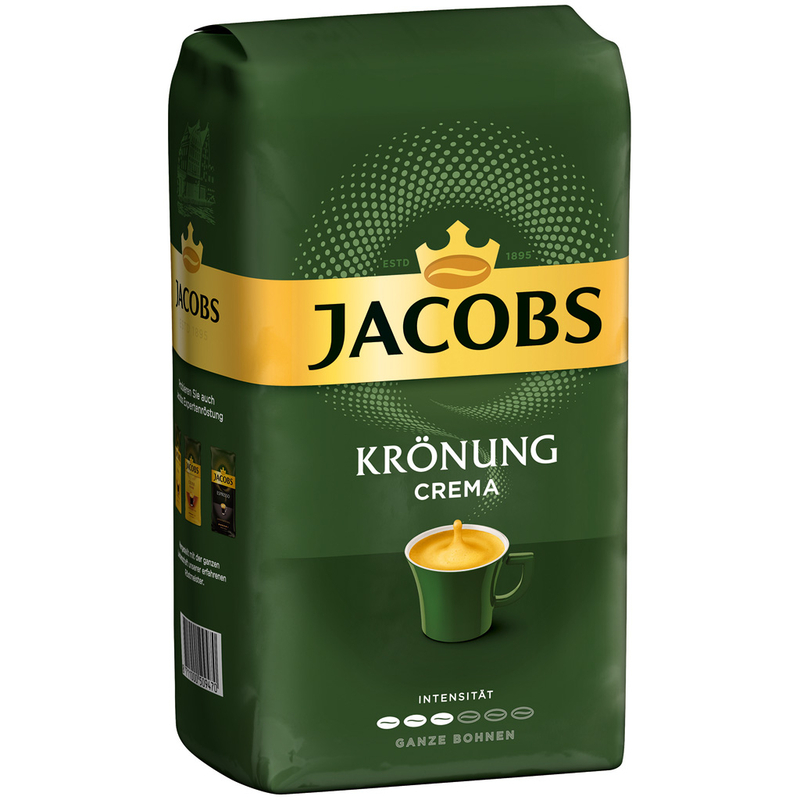 Take your time, immerse your senses and enjoy a cup of Jacobs coffee. With this product you receive 2.20 lbs of whole coffee beans in a vacuum sealed package. Suitable for all fully automatic coffee machines. Jacobs Kroenung Crema is a carefully selected blend of lively coffee beans from South America and multifaceted coffee beans from Asia. A careful roasting process provides a steady and inimitable product of the highest quality. 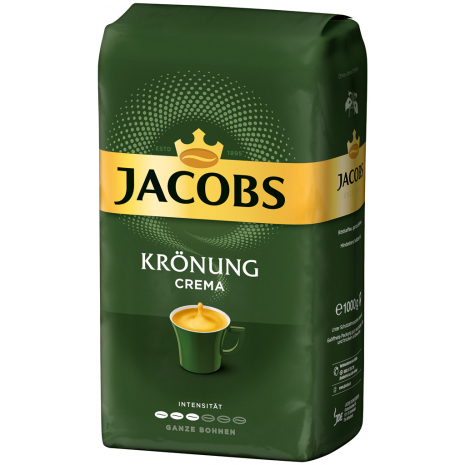 Irresistibly aromatic coffee with a silky and smooth crema until the last drop. Take your time, immerse your senses and enjoy a cup of Jacobs coffee. 1000g / 2.20 lbs NET. WT.